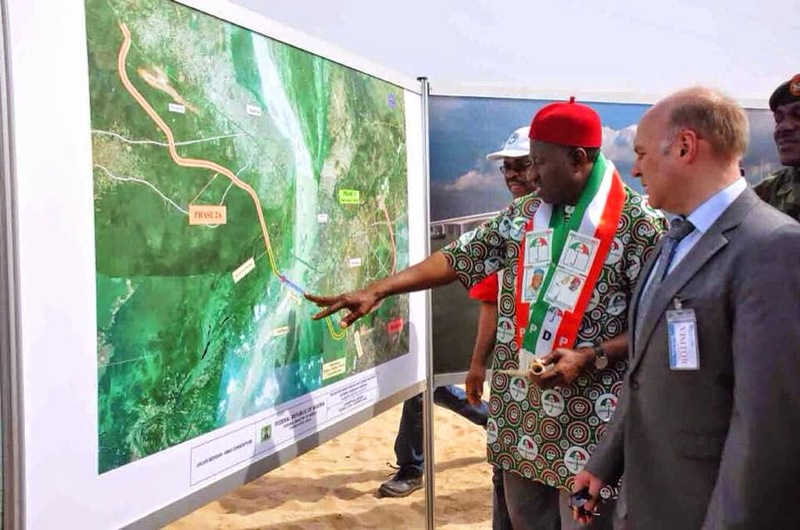 President Goodluck Jonathan visited the construction site of the 2nd Niger Bridge at Onitsha to see the progress being made. As Nigeria approaches its most divisive and closely fought election since the end of military rule in 1999, its leaders are having to reassure voters that Africa's most populous nation will remain in one piece. The Feb. 14 vote pitting President Goodluck Jonathan, a Christian popular in his southern oil-producing Niger Delta region and in the east, against former military ruler Muhammadu Buhari, a Muslim favored in the north and religiously mixed southwest, is already proving violent, with the electorate in Africa's biggest economy more polarized than for decades. 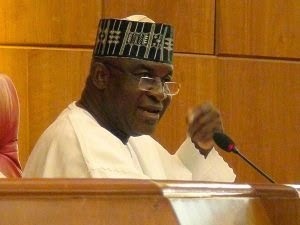 According to Nigeria's Senate president , David Mark : "Despite the much-vaunted fear that our nation may not survive the elections ... I remain optimistic that we have ... the maturity to rise above the challenges..."Our nation will not disintegrate after the elections." Ever since 1914, when Britain carved Nigeria out of a swathe of West Africa that was home to diverse peoples speaking more than 500 languages, it has been dogged by the question of how viable it is as a unified nation state. However, most analysts say that even if serious bloodshed follows the election, as many expect, the worst-case scenario of a break-up of a country of 180 million people remains unlikely. 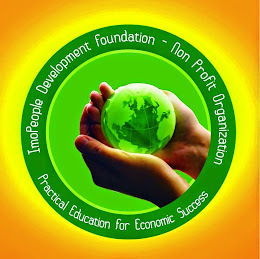 "Nigeria has an enormous capacity to absorb risk," the International Crisis Group's Africa director Comfort Ero said. "While there are significant concerns about the elections, we are not predicting break-up." However, she added that the republic was "in deep trouble, probably more than at any time since the end of military rule ... or even the civil war." The last time a bit of Nigeria tried to secede, it triggered the 1960s Biafra civil war in which more than a million people died. After that it seemed Nigerians were better off together. But as the election cycle has hotted up, some have floated the idea of division, and Boko Haram insurgents controlling territory the size of Belgium in the northeast are waging an increasingly bloody campaign for a breakaway Islamic state. Separately, dozens of people die every month in ethnic violence in the Middle Belt, where the largely Christian south and mostly Muslim north meet across a patchwork of minority groups that are likely to be split between the two candidates. "Nigeria is bursting at the seams with ethno-religious ... problems waiting to explode," columnist Bayo Oluwasanmi wrote in the African Herald Express, a local daily, last month. "Competition in the coming 2015 presidential election could break the already tattered ties that keep Nigeria whole." That is probably hyperbole but there are signs the elections could trigger violence that may not be as easy to quell as in 2011, when Buhari's loss to Jonathan triggered three days of riots in the north that killed 800 and displaced 65,000. Besides regional and ethnic differences, Buhari is also a protest vote for many who say Jonathan has failed to tackle insecurity and corruption, Nigerians' two biggest complaints, and who was seen as tough on both when he ruled in the 1980s. 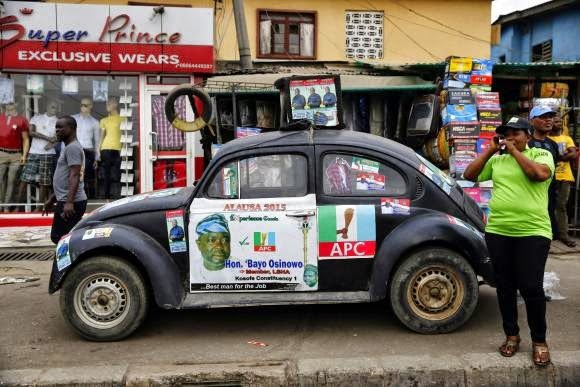 A woman talks on a mobile phone, near a car with election campaign posters for the All Progressives Congress (APC), parked in front of roadside stalls in the Oworonshoki district of Lagos, January 19, 2015. Last year the PDP accused the APC of a "devilish plot" to impose an "Islamic agenda" on Nigeria, a dangerous appeal to religious sentiment, while Jonathan has played up his Christian identity, forging ties with hardline evangelical pastors. PDP state governor Ibrahim Shema had to retract a speech in November in which he described APC supporters as "cockroaches" and urged the crowd to "crush them", a chilling echo of Hutu militia radio broadcasts during the 1994 Rwandan genocide. On the other side, APC governor Rotimi Amaechi said this month that if the poll was not fair, the opposition would set up a "parallel government", as happened after a disputed election in Ivory Coast in 2010. "If they deny Buhari victory, it could mean civil war because both sides are so dug in," prominent northern opposition politician Mohammed Junaidu told Reuters. The 2010 Ivory Coast election did spark a civil war but the country was already militarily divided, which Nigeria is not. In Kenya in 2007, a disputed election triggered three weeks of ethnic bloodshed that killed 1,200, a toll that would be far higher in Nigeria where there are many more people and weapons. Ultimately what makes these polls so dicey is that they are a genuine contest, said John Campbell, a former U.S. ambassador to Nigeria and fellow at the Council on Foreign Relations. By running in 2011 Jonathan broke an agreement with northern elites, in their minds at least, that it was the north's 'turn' to field a president. Now such regional deals are in tatters. "In the past there has been a kind of consensus among the people who run Nigeria ... Elections at the presidential level were largely predetermined," Campbell said. "What we are talking about now are real elections, with a polarized electorate."